Krasnoyarsk company Technoros, specializing in the development of ore quality control systems, will supply its technologies and ore pretreatment equipment to Iran, the company's general director, Igor Katser, told Sputnik. "Our system allows you to quickly and efficiently sort out ores of different composition into enriched ones and 'empty.' The equipment automatically distinguishes [chemical] elements — from 20th to 92nd in the Mendeleev periodic table (from calcium to uranium). There is no such technology in Iran," Katser said. Katser pointed out that during his recent 10-day trip to Iran he and his colleagues met with the representatives of 10 Iranian companies and held a presentation of Technoros' ore management system. He underscored that during its first the trip to Iran the Technoros leadership managed to take significant steps while promoting the Russian non-resource export product. "During the meeting [in Iran] our company signed a memorandum on cooperation to supply our equipment, crude ore management systems, [to the country]. One system costs $10,000. Having obtained all the necessary information from our partners, we can produce and implement such a sorting system within 5 months," the Technoros director said. The company expects that by December 31 it will have started working on the project within the framework of the signed protocol and ink the first contracts with certain Iranian companies. Katser stressed that Technoros' equipment and systems have been successfully implemented in more than 46 enterprises in Russia. The director of the company pointed out that Technoros is planning to go even further: It is considering the creation of a special research center together with Iran. "After the meeting we proposed to the Iranians to establish a Technology Research Center in Tehran," Katser noted. 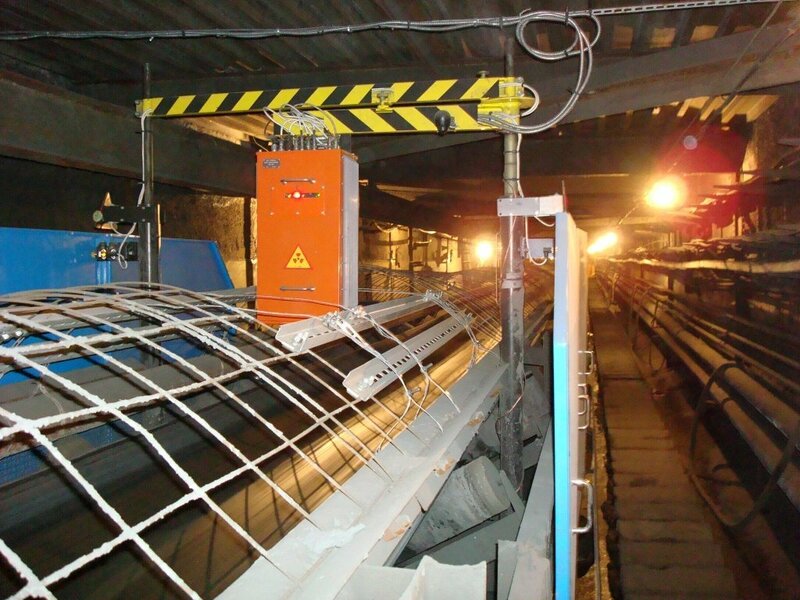 "It would be possible to bring there small samples of ore and visually check the efficiency of our equipment. It would help bolster mutual trust and it will be much easier for specific Iranian companies to make a decision to purchase the systems." According to Katser, Iran needs such technologies since it has limited ore deposits with small reserves of useful components. Technoros' mobile sorting complexes could help Iran cope with this problem. He explained that by acquiring Russian innovative systems the Iranians could achieve the desired results within six or 12 months, separating enriched ore from empty ore. He specified that Iran is mostly involved in extracting chromium and manganese ores, as well as zinc and copper. In an interview with Sputnik, Vasily Morgun, the director of the FBU "Krasnoyarsk CSM," which works on the commercialization of Technoros' projects, emphasized the scientific importance of the Russian innovative system. "Technoros demonstrates high activity in the sphere of innovative [technologies]," Morgun told Sputnik. "The ore control system has become one of the basic technological developments of the Siberian Federal University's Scientific Center, built by Norilsk Nickel [a Russian nickel and palladium mining and smelting company]. The Norilsk Nickel company regards [the innovation] as promising for the development of its technologies." Russia and Iran have a long record of collaboration. In 2011 the Bushehr Nuclear Power Plant was officially opened by Russia's state-owned corporation Rosatom in Iran. Following the lifting of sanctions on Iran in early 2016 Russia jumped at the opportunity to bolster bilateral cooperation. In July 2017 the Tehran Times reported about the 2.5 billion euro ($2.97 billion) deal on joint manufacturing of passenger and cargo wagons in Iran. Meanwhile, in November 2017 Iranian Minister of Economy, Masoud Karbasian, reported that the trade volume between the Islamic Republic and Russia has grown by 70 percent over the past year. The countries are boosting economic and strategic partnership in many fields including energy projects, infrastructure development and military aid. The views and opinions expressed by Igor Katser, Vasily Morgun are those of the speakers and do not necessarily reflect those of Sputnik.